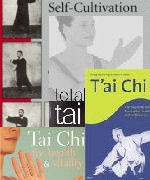 The trouble with finding yang short form books is that many tai chi books don't tell you which form they are using. As a result we know that there are lots of books that we have missed. These are the ones we found - if you have a favourite that we have missed then let us know. Cheng Man Ch'ing simplified the traditional form into what he called he Simplified Thirty Seven posture form. In pages 31 to 123 he details the movements of the form and explains what the student is supposed to do. Generously sized photographs with numbered, comprehensive instructions show all the positions in every sequence. Inset close-ups focus in on small details. There's also guidance on shifting body weight and notations on when to inhale and exhale. Ideal for the new beginner with detailed descriptions and excellent photographs of the yang short form. It also covers posture, warm up and self massage exercises. Contains detailed instructions on how to create the movements with diagrams for feet placement and close up illustrations of hand positions. It was printed in several languages it is now out of print but still pops up in on-line auctions. This is the original classic giving us a chance to hear the perceptions and experiences of a grand master. Step-by-step guide filled with photos and grids to help beginners position themselves accurately—will start novices on their way to optimum health and well-being. 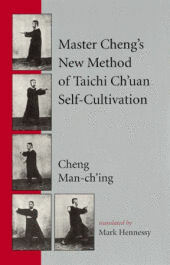 It covers tai chi’s history and philosophy, key principles, and modern interpretations. T'ai-Chi : The Supreme Ultimate Exercise for Health, Sport and Self-Defense. A complete step-by-step manual for the beginner that will enable anyone to master the sequence of thirty-seven postures that make up the T'ai Chi solo exercise.